« *** WINNERS *** Tanya, Kathy, Alexia, Chrissy and Margaret are Living the Life of Riley! CONGRATULATIONS! 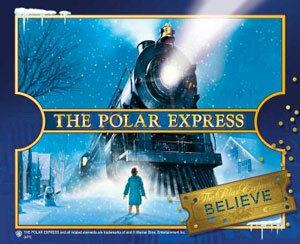 For those wanting the magic to last or to do a little Christmas shopping, visit our gift shop in the station for special Polar Express gifts and merchandise. Oh, one last thing, children are encouraged to wear their PJ's; adults who still believe have been known to wear them, too! So, are you coming? All Aboard!